BRETT COGBURN. Two-Dollar Pistol Five Star. Hardcover. 322 pages, $25.95, cengage.com. 19 year-old self-created orphan Myra befriends 17 year-old sheriff’s son Claude who shoots bad man Mike before Mike shoots him. Myra’s stealthy hands move on to seduction and the two take off on a Bonnie and Clyde life in depression era Oklahoma and Texas. Myra’s instinct for crime comes from her rotten family and Claude’s ability to keep them alive comes from being half-Indian and displaying the best qualities of both his mom and dad despite his outlaw ways. Two or three violent and comical hold-ups lead to a giant shoot-out. Bonnie and Clyde did not survive theirs and I’ll leave the reader to discover whether Claude’s Indian Mother and Sheriff Father pulled them out in time to continue their life of crime in some future sequel. I’m not sure why Five Star lists it as historical fiction, but it is a good depression era read. 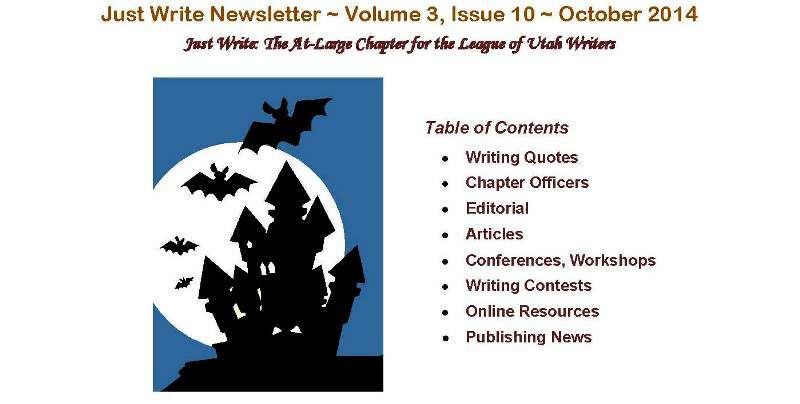 As mentioned in October, The League of Utah Writers is organized into Chapters. The President of the At-Large Chapter, Ann Gordon, asked me to write about my adventures in marketing. My path to publishing Telluride Promise included “a read and a conference” with a New York publisher. The publisher told me, “Nobody wants to read about a good banker.” By his tone, I couldn’t tell which he disapproved of most: ‘good’ or ‘banker’. That day he taught me something: to make sure my synopsis sells the book I want to sell. I believe mine did; he just didn’t want to buy, or read, my book. So, I self-published with CreateSpace. With my book Every Soul Is Free I sold short stories as a step in marketing the book to publishers. Fifty or so submissions led to five stories accepted by online and print collections. This process led to my finding Western Writers of America (WWA). At the first convention I attended I suffered horrible rejection. A well-known agent informed me that a story set in 1948 was not about the Old West and couldn’t be sold. Two newly minted good friends, prominent members of WWA, propped me up enough that I left Las Vegas with three invitations to submit. One of those, Pen-L Publishing, led to publication. First, something results from everything I do or try. It’s a production function: effort goes in the front end, book sales come out the back end. I’m still learning how to leverage and maximize my own production function. Second (which I trust as a truism): Keep trying. I write every day and my daily two to four hours leave me blissful and joyous. 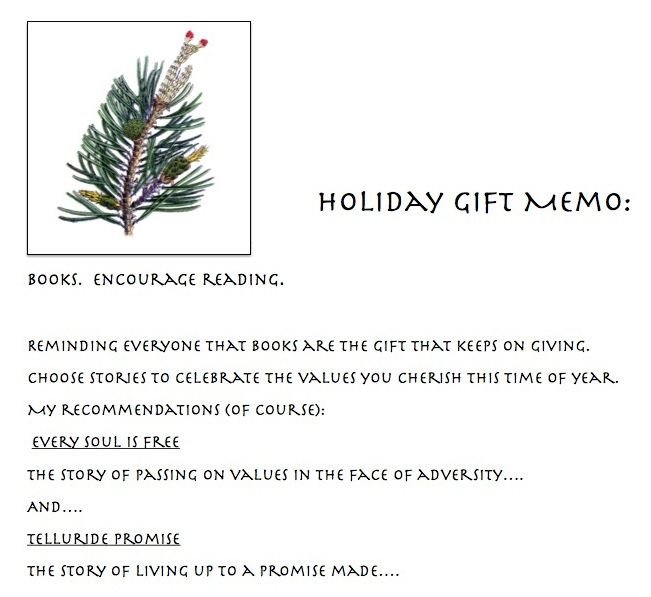 I used to find writing time as torturous as I now find book marketing time. My goal is to work through this until I love the marketing part of publication. Editor’s Note: Edward has written more about his path to writing and publication on his website. You are terrific and I appreciate your editing. Just one small comment. I doubt my second observation is a truism. (From a reference source on logic): A truism is a proposition that states nothing beyond what is implied by any of its terms. I suspect (and need to do more thinking and reading about this) anything that you trust is not a truism. Certainly, trusting the notion to keep trying goes far beyond what it implies by any of its terms. Trusting requires going into the unknown. To keep trying, to be sure, also goes into the unknown, but more than that, it is at the very heart of discouragement. When most discouraged, try the most. That may have been a better statement, and, certainly, it would not be a truism. Charmed by the end of the first chapter, Travelling Down the Owlhoot Trail with Devon Day and the Sweetwater Kid provides thirteen sweet reads to set the mind to a cheerful night’s sleep. Nicholas Wilton has been a friend of Anne’s, and now mine, for many years. He has many studios representing him and a thriving studio-based mentoring business. In all respects, he is the man who has conquered the problem of making a living from art. Lo, brings he this wonderful blog, When Your Art Doesn’t Sell, and without going into too much detail, it is a breath of life. Thanks, Nick. The League of Utah Writers is organized into Chapters. Living as I do in Connecticut, I am fortunate that there is an at-large chapter, the Just Write Chapter. Indeed, it has a critique group, in which I have already participated, and it has a Newsletter. 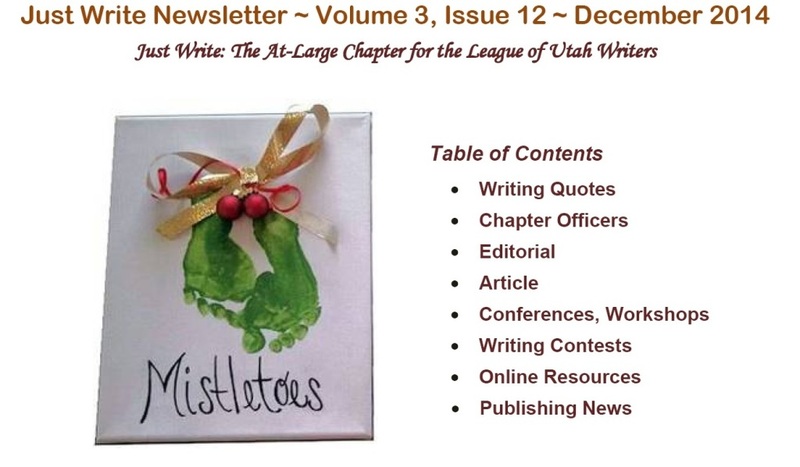 The President of the chapter, Ann Gordon, asked me to write a review of the recent League of Utah Writers Annual Conference held at the Davis Conference Center, in Layton, Utah. This was my first LUW conference. The Davis Conference Center, a gem under the HAFB flight path, felt familiar to me the first moment I got out of my car because I was raised under that flight path in Clearfield. At the registration desk I met a friendly fellow in a coat and tie who handed me a fistful of mini-chocolate bars. What a great beginning! I found the LUW Conference to be 100% craft oriented. I picked “Writing Fight Scenes” as my first workshop. Christine Haggerty, the leader, stressed the following: Our character existed before the fight, our character shouldn’t do anything in the fight that’s inconsistent, the fight should be choreographed, and have an aftermath in injuries. Most attention was paid to physical injuries, but I believe emotional injuries are as important. The World Building session was led by the man with the chocolate bars, Bruce Allred. His presentation was truly stimulating and I hope he has a copy he can send you if you ask. Saturday – my primary goal was to find and meet Ann. Again no provision for meeting and schmoozing, neither breakfast nor coffee break. I guess LUW believes we are all independent, self-reliant sorts. I did finally track down Ann Gordon. And Tim Keller. Hooray! 11:00 Alexander Gordon Smith – Creating Characters Who Talk Back. A cheeky session title with a witty Englishman. For those who did not attend this one, you can guess the content and should keep it in mind. He explained how to make characters come alive. Finally, 12:00 Lunch. Being vegan, I was prepared for the worst, but they were very solicitous and helpful. At my table everyone was lively, interesting, and fun – exactly what I wanted. I enjoyed Jill Vanderwood’s presentation on Public Speaking. I hope everyone took away the core message: that we can all help our writing careers by speaking. In the afternoon I attended sessions devoted to personal development. I learned about marketing with Kathryn and Doug Jones; then how to overcome things that stop us from writing with Peggy Eddleman; and at 4:00 Shanna Beaman discussed Strategies and Goals. Shanna provided some good handouts; if you did not attend this presentation, perhaps you could write Shanna and ask for a copy of her handouts. Finally, the big event at 5:00 – Dinner. My food was just fine, how was yours? And the Keynote Address by Johnny Worthen provided everything we had come to expect from him in a day and a half of exposure. His tour de force provided a catalogue of ways a writer is truly crazy. When the Awards Ceremony started I began to worry that this meeting would keep us up all night, but Nope. The economist, Bruce Allred, ran a taut, economical program, moving it right along, with humor and good cheer for the winners. Toward the end of the hundred plus awards I began to fear I had been shut out. But not at all. I had a wonderful surprise. I want to thank everyone in the League of Utah Writers for the opportunity to join, to attend the conference, and to have Every Soul Is Free judged against all the fine writers in the League. Editor’s Note: Edward flew in from the East Coast to attend the LUW conference. His latest novel, Every Soul is Free, won the prestigious Gold Quill Award from the League of Utah Writers this year. The Gold Quill is the Grand Prize for Best Novel. GORDON E. TOLTON. Healy’s West. Montana Press, Paperback. 287 pages, $20.00, info@mtnpress.com. You had to be an entrepreneur to go West. From an Irish family brought to America in hardship and enlistment in the Army (perhaps born of shady dealings), John J. Healy took his entrepreneurial spirit to Fort Leavenworth in 1858. There began 50 years of commercial ventures in the development of a huge area mapped as “John Healy’s Pacific Northwest.” Commended by the author for his trend setting vision and tenacity, Healy’s western tools were not those to which we have grown accustomed. His were buying, selling, mining, organizing, railroading (in both senses of the word) and maybe other slightly fast action. He achieved what so many entrepreneurs do: success and yet shut out. Tolton’s scholarly work may not thrill to Healy’s heroic nature, but so complete an examination of a significant life all but forgotten is to be commended.